The island of Sicily, floating just off the shores of southern Italy, has a long, rich and multicultural history as one of the most coveted prizes in the Mediterranean Sea. For more than 3,000 years, myriad civilisations discovered, conquered, and made their mark on Sicily’s shores, from the Ancient Greeks and the Roman Empire to the Norman and Arabian rulers that thought to cultivate Sicily’s lands. Consequently, the island’s legacy is displayed as a colourful tapestry of art, architecture, cuisine and history, reflecting the melting pot of cultures that have called this beautiful island home. Take a step back in time and visit the caves of northwest Sicily, where you can see evidence of the earliest civilisations that settled on Sicily’s shores. In these unique grottos, intricate cave paintings decorate the walls, a fascinating example of Paleolithic and Mesolithic art and society. It is thought that the first inhabitants to colonise Sicily arrived around 5000 BC. The sicani from North Africa, the siculi from Latium (Italy) and the elymni from Greece paved the way for the Phoenicians in 900 BC, who founded the ancient city of Carthage in North Africa and established Palermo as a seat of power in Sicily. They became known as the mighty Carthaginians, a pivotal presence in Sicilian history and one which can still be felt amongst the enigmatic ruins of Mozia. Sicily’s fertile landscapes and abundance of natural produce, such as olives and vines, captured the attention of the Ancient Greeks who arrived in Naxos, around 750 BC. Eager to take advantage of the profitable trading opportunities this bountiful island offered, the Greeks colonised the island as well as much of southern Italy, dubbing the region Magna Graecia or Greater Greece. The remnants of Ancient Greece are a key attraction of modern Sicily, with world-class archaeological sites at Agrigento, Segesta, Selinunte and Eraclea Minoa to name a few. This period of Sicily’s history was marked by civil unrest as bitter rivalries between Greek settlements and Carthaginian power gripped the island for more than a century. The Greco-Punic wars turned Sicily into a fierce battleground until the Battle of Himera in 480 BC which decimated the Carthaginians and proved a turning point in the history of the country. However, Carthaginian power regained its footing in later times and it wasn’t until the Romans finally brought Sicily under the umbrella of their mighty empire that the Carthaginians were finally driven out. This marked the beginning of over 500 years of Roman rule, a rule which was supposed to allow Sicily to blossom into a land of plenty, the ‘Granary of Rome’. Unfortunately, Roman rule was fraught with corruption and this vision was destined to crash and burn, eventually leading to the decline of the empire. Around 313 AD, the Rise of Emperor Constantine’s influence and the rise of Christianity in the region saw to the gradual decline of the Roman Empire. A brief Germanic Showdown occurred as Sicily was invaded and fought over by Vandals from northern Africa, Ostrogoths and Byzantines. The legacy of Roman rule can be seen throughout Sicily in the present day, the mansion Villa Romana del Casale demonstrates the luxurious lifestyles the Romans favoured whilst the Greco-Roman theatre at Taormina, with its breath-taking views of Mount Etna, is still used for performances to this day. 1830 print. Reproduction of Antonino Buttitta "Les Normands en Sicile"
It wasn’t until the 9th century that Sicily truly began to realise its potential. This was a period when the Arabs, Berbers and Saracens conquered and ruled the island and cultivated the land. Sophisticated systems of irrigation were introduced as well as prize produce like oranges and lemons whilst Arabian art, literature and numerics became prevalent throughout the land. 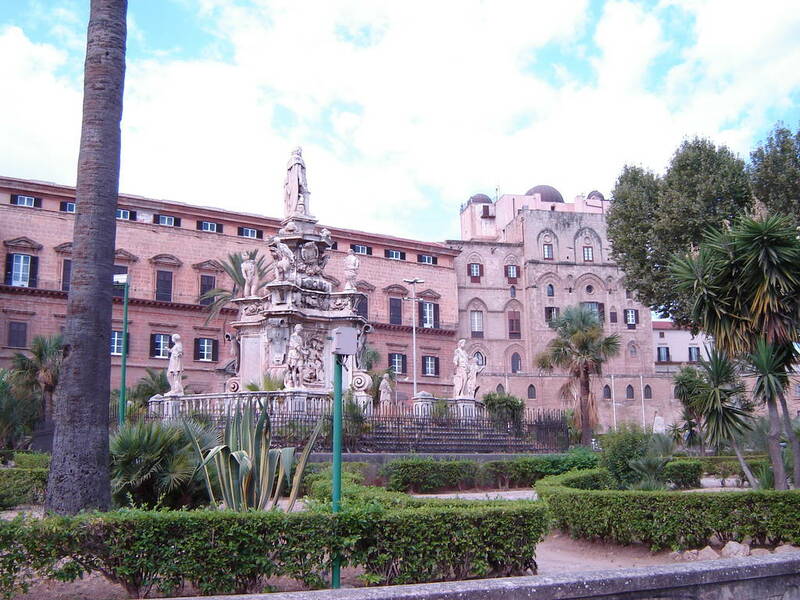 Under the Arab Kalbid dynasty, Palermo was made the Capital of what became known as the ‘Emirate of Sicily’. It is said that at its peak over 100 mosques stood in Palermo. The Sicilian economy blossomed under Arab rule. Agriculture, mining and trading bloomed and prospered and the island enjoyed a period of religious tolerance. Palermo was elevated to the capital of the country and it is said that at the peak of Arabian power, there were more than 100 mosques standing proud in the city. However, the rise of Sicily turned the island into even more of a target for Europeans looking to capitalise on its success. The most notable invaders were the Normans who conquered Sicily in the latter half of the 11th century, giving rise to a Golden Age where a variety of cultures lived together in harmony and Muslims, Jews, Christians and Byzantines all had a place in society. The diverse and tolerant culture bred by King Roger, resulted in an incredible blend of architectural style, a fusion of Arabian elements and Byzantine features that has become known as ‘Sicilian Romanesque’. This unique style of art and architecture can be seen in the churches and cathedrals of Palermo, Cefalu and Monreale – in the Palazzo die Normanni (the Norman palace) and the Capella Palatina (the Palatine chapel), as well as the magnificent castle at Erice. The Normans enjoyed a lavish lifestyle and King Roger commissioned many palaces and monuments to be built. Palermo thrived under Norman rule and became the wealthiest hub in Sicily. However, this decadent period was not to last and after merely a century, the Norman dynasty came to an end, succeeded in 1194 by Freidrich II and the more modest Swabian Hohenstaufen – the southern Germans. Soon after the death of Friedrich II, in the year 1250, Sicily fell to Charles I the Duke of Anjou (modern day Western France). The Frenchmen’s reign lasted only a short term as in 1282, due to opposition to French officialdom and taxation, King Peter III of Aragón (Spain) successfully invaded the island. After King Peter III, Sicily was ruled as an independent kingdom by relatives of the Kings of Aragon until 1409 and then as part of the Crown of Aragon. A series of revolutions took place with the decline of the Normans. Unrest and upheaval infiltrated the country again, as the Crusades resulted in conflict between the Christian and Muslim population, despite the fact that King Friedrich was known for his religious tolerance. Sicily eventually fell to French, Spanish and Austrian rule in succession before the Spanish Bourbons united the island with Naples in 1734. Under Bourbon rule, Sicily was lost to a revolution but regained again, and it wasn’t until the year 1860 that Giuseppe Garibaldi marched with his army of irregular troops to join Sicily, with the other Italian regions to create what we now know today as modern Italy. But conflicts continued in 1866 when Palermo revolted against Italy. As a response, the city was soon bombed by the Italian navy, which disembarked on September 22nd 1866. Under the command of Raffaele Cadorna the Italian soldiers summarily executed the civilian insurgents and took possession once again of the island of Sicily. The Sicilian people suffered from colonisation and rebellions – many were reduced to living in poverty. Between 1871 and 1914, a great number of Sicilians emigrated to the US, shortly before the breakout of WWI. The war had a profound effect on the island. In 1945 and 1946, a strong separatists movement campaigned for Sicily to be admitted as a U.S. state (It would have been the 49th state, preceding Alaska and Hawaii). Appeasing this movement the Italian government awarded Sicily with a special status, and to this day Sicily is declared an autonomous region of Italy in 1946. Unfortunately, the war had a further effect on the region. 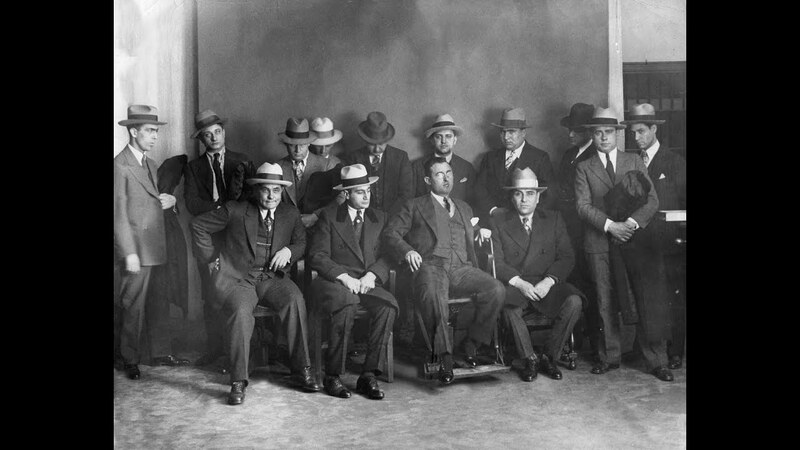 Once the Allies turned to the Mafia for assistance; supporting this criminal network in their quest for power in Sicily. Notorious Mafioso, Don Calogero Vizzini became a key player in the political sphere and the Sicilian Mafia developed into a frightening force on the island for the next 50 years, constructing a massive heroin and cocaine trafficking network that stretched from Palermo to New York as well as the infamous protection and extortion rackets – a criminal lifestyle that has been the inspiration for countless Hollywood blockbusters. For Sicilians however, this was reality and lasted up until the 90s, when a number of big criminal players were prosecuted in a series of highly-publicised trials. The long, vibrant tale of Sicilian history is written in the key sights of the island – the lovingly restored old town centres; the national parks and nature reserves; and the ancient ruins, many of which are listed as UNESCO world heritage sites. With a present day population of over 5 million, the Sicilian people are a unique blend resulting from their colourful ancient and medieval past. They are a people aware of their unique heritage and every day in Sicily is a celebration of their artistic and cultural heritage. We at Sicily4u.co.uk would like to cordially invite you to join us in exploring and discovering this fascinating island, as Sicily is not just a destination but also a unique experience and an entire way of life.